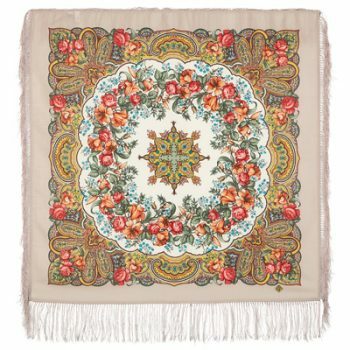 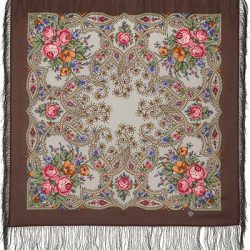 Home / Clothes / traditional-russian-clothes / shawls-russian-pavlovo-posad / 89-by-89-cm / ”Russian Pereplyas”Pavlovo posad platki, 100% of wool, size 89 by 89 cm. 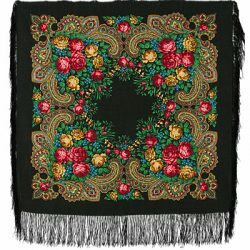 ”Russian Pereplyas”Pavlovo posad platki, 100% of wool, size 89 by 89 cm. 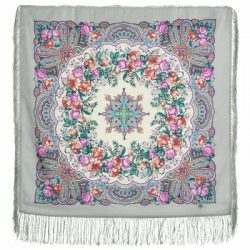 Flowers of Russia on your shoulders! 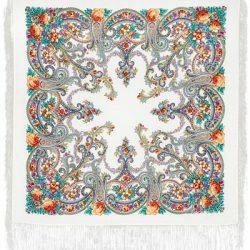 In the museum of handkerchiefs you can see all the variety of Pavlo-Posad kerchiefs, from ancient classic hand-printed patterns of the nineteenth century, avant-garde propaganda shawls of the thirties of the last century, to modern shawls and shawls currently produced.